Joanna Weinberg was born in London and studied acting at the University of Cape Town in South Africa. She had a stellar career in film and theatre in South Africa, nominated for 11 AA Vita and Old Mutual awards for acting, comedy and cabaret and made world headlines when she played Desdemona in the first ‘non-racial’ production of Othello in that country, directed by Janet Suzman for the Market Theatre and filmed for Channel 4 in the U.K. Joanna’s one- woman–show, Sinksongs, was discovered by film producer Andrena Finlay of Wildheart Productions and the show has gone on to become the musical feature film Goddess, directed by Mark Lamprell and produced by The Film Company in association with Screen Australia. Joanna is the co-writer of the screenplay as well as the principal songwriter for the movie. Goddess, starring Ronan Keating and Laura Michelle Kelly was released by Village Roadshow in Australia and internationally in 2012. In 2008 she wrote, performed, and recorded the one woman show 12 Shoes, which played extensively in Sydney and her new album, The Piano Diaries, which accompanies her show of the same name, was released in Sydney in November of 2011. Over her career Joanna has written 3 musicals and 9 one-woman shows, all of which have been performed on the professional theatre circuit in Australia and South Africa. Now with the release of Pandora’s Bag, the prolific writer is destined to have another hit on her hands. That’s the short of it! Why Won’t You Let Me Die? Weinberg is a master at turning a phrase, to have a double or personal meaning for the listener, her use of wit and charm in each tune, is unmatched. It is easy to see why she has been so successful in her many ventures. One main ingredient in the mix is the brilliance of her mind, ideas and boundless creativity. 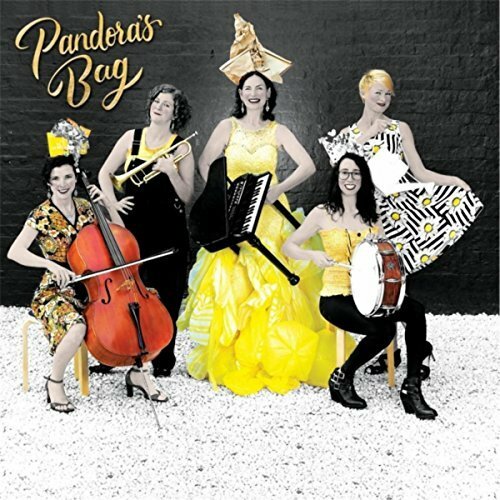 If you like music that has a healthy does of witticism, look no further than Pandora’s Bag. Written with the feminine in mind, don’t dismay; this album is for anyone who has that special woman in their life. The true to life lyrics will make you chuckle and enjoy!